Scott Hamilton, centre, Chairman of The Shelter for Battered Women and Children, with Caylynn Hosein, right, and Ye Ji Lee, winners of The Shelter's annual golf charity tournament. 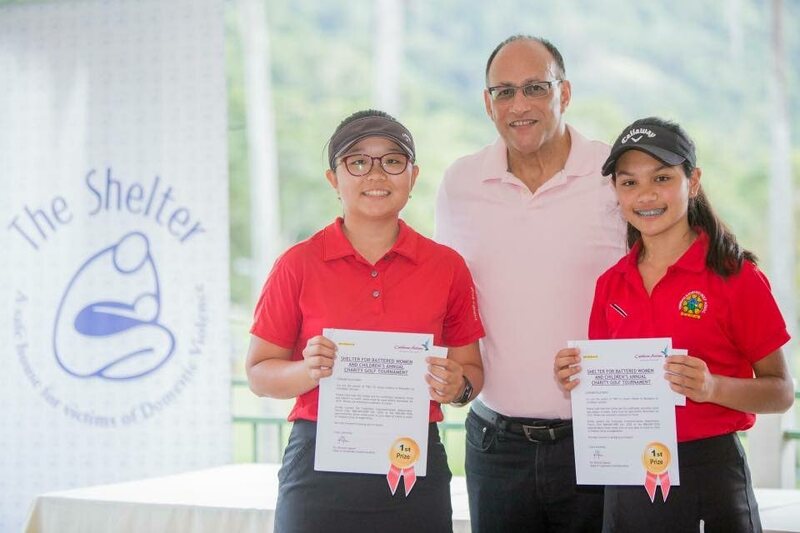 TWO teens sponsored by Stephen Ames Foundation took first prize at The Shelter for Battered Women and Children’s annual golf charity tournament at the St Andrews Golf Club, Moka, Maraval, last Sunday. The Stephen Ames Foundation’s sponsored team of Caylynn Hosein and Ye Ji Lee took first place and will enjoy return tickets to Barbados courtesy Caribbean Airlines. Throughout the day, 29 teams competed for a range of prizes with the Agri Link Limited duo of Anthony Hosang and Raphael Rose placing second. In third place were Brian Dookie and Matt Mc Taggart of the Pilot Management Service, followed by Wayne Baptiste and Tori Baptiste (Service Experts), First Citizens' Anthony Smart and Adrian Sampson, Jude Agostini and Dominic Chatoor (Stamford Business Solutions), and SA Ladies Section players Paige Hurd and Sandra Montano. At the award’s ceremony, recently appointed Chairman of The Shelter, Scott Hamilton, thanked patrons for supporting the annual fundraiser. 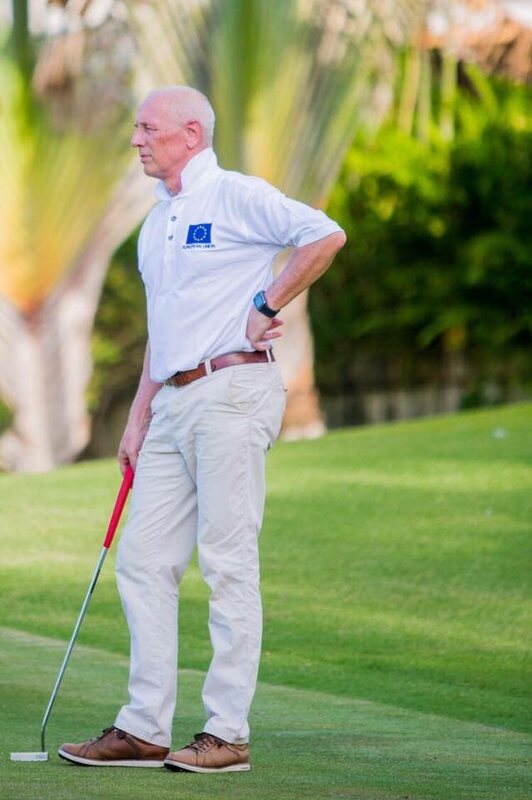 He also paid tribute to the players, sponsors, donors and staff of the golf club for ensuring the annual event was an overwhelming success. He also underscored that the funds will make the expansive renovation and repair of the safe house possible. National football icon Russell Latapy, left, at The Shelter for Battered Women and Children's annual golf charity tournament last weekend. Established in 1987, The Shelter is a safe haven for women and children who are victims of domestic violence. A registered charity managed by an Executive Committee of Volunteers and Staff, the organization was created in response to the growing awareness of domestic violence and a greater need for support for victims. The Shelter operates a Govt-granted safe house which provides accommodation and counselling, and will soon include a renovated library and learning centre in 2019. The Shelter also receives Government subventions and donations from well wishers, but relies heavily on fundraising events. In March, The Shelter’s fundraising sub-committee which comprises Hamilton, Sherron Walker Harford, Christine Lyon, Asha Saith, Anusha Saith, Arlene Valdez and Anna Walcott Hardy, will co-host a wine and cheese experience and silent art auction with Yvonne Webber at the residence of the Australian High Commissioner, Maraval. 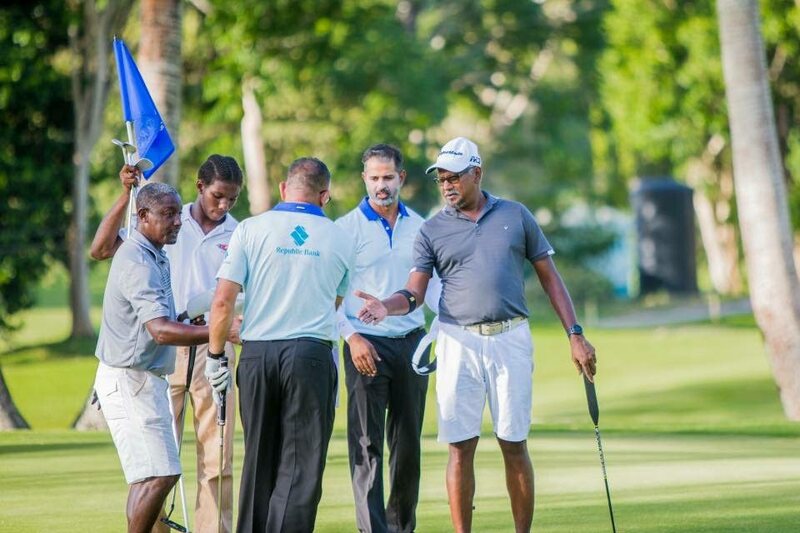 Prize sponsors for the golf competition included Caribbean Airlines, Uncorked Wines & Spirits, HADCO, Tribe, Veni Mange' Restaurant, Ce Tangyuk, FT Farfan, AMCO, Meiling, Caribbean Bottlers Ltd, Millennium Golf Club and Stephen Ames. Support sponsors were Boomerang Caterers, Digicel, KFC, Media 21, Samsung and Very Exciting Things. Reply to "Ames team tops The Shelter’s golf tourney"